Taking more breaks can help you get more done in a day, if you take them right. Ask someone how they're doing, and they'll probably answer, "I'm so busy!" Whether it's a project for work or FOMO with your friends, you never want to feel like you have to say "no" to something. We regard the need for rest as a sign of weakness, and our perpetually stimulated brains have a hard time downshifting and doing nothing. 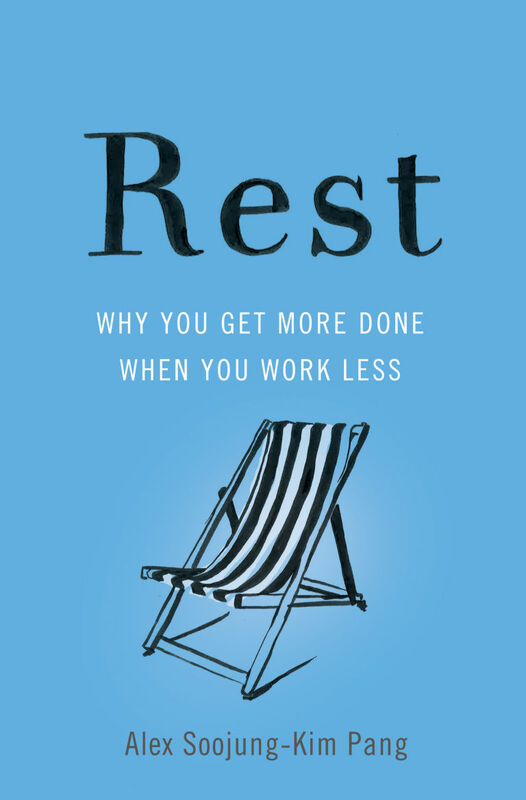 But in my book Rest: Why You Get More Done When You Work Less, I argue that this attitude is unhealthy, counterproductive, and short-sighted. Rest is essential for restoring the mental and physical energy we spend at work. Here's how you can become more productive while simultaneously taking more breaks. 1. Start early—really early. Getting up very early and working at home lets you make progress on your most critical projects, work without the distractions of social media or the phone, and creates space in your day for rest. Toni Morrison, for example, wrote her novels in the pre-dawn hours before going to her job as an editor. For many, a slightly drowsy state is also a more creative one. 2. Focus, rest, repeat. Great minds alternate hard work and rest in their day, moving with surprising speed from one mode to the other. By working intensively for an hour and a half to two hours, then taking a break for 20 minutes, you get the restorative benefits of a rest, while still keeping your intellectual momentum going. 3. Keep multitasking to a minimum. It feels like you get more done when you multitask, but in reality, you're taking a double hit to your productivity. Multitasking prevents you from working productively on any single task and prevents you from focusing enough on a subject to get your creative subconscious involved. So close your email, put on headphones, and turn off Slack notifications. You'll do more in two focused hours than six distracted ones. 4. Take a walk. A recent study found that even walking on a treadmill while facing a cinder block wall boosts creativity. Walking meetings let you combine work and a healthy break: People are more likely to focus and less likely to multitask, walking meetings tend to be shorter, and there are no doughnuts to tempt you (unless you walk past a bakery). 5. Or if you can, take a nap. Not every workplace is nap-friendly, but even a short nap in a wellness room can top up flagging energy, help your brain retain new information, and even boost your creativity. Avoid oversleeping, though: Sleeping for more 20 minutes makes it hard to shake off the drowsiness and get back to work. 6. Stop in mid-thought. Many writers stop for the day in mid-sentence, which makes it easier to pick up again the next day. As scientists recently discovered, knowing that you'll return to a problem encourages your subconscious to keep working on it—which raises the odds that you'll find a solution in the morning. 7. Leave your work at work. When you leave the office or finish a task, put it out of your mind. Bringing home your problems guarantees that you won't get the rest necessary to tackle them effectively. Put your phone on silent, don't check email at home, and focus on other things. 8. Actually take your vacation days. Americans forgo tens of billions of dollars' worth of vacation days every year. Not only is this like not cashing a paycheck, but people who don't take vacations are at greater risk of chronic stress and burnout. Those who take them are happier at work, more resilient, and live longer. Shorter vacations every few months will provide a better recharge than one long vacation. 9. Find a really engaging hobby. The best minds have hobbies that let them enjoy some of the same satisfactions as their work, but at a small scale and without the frustrations. Winston Churchill loved painting because it required vision, decisiveness, and confidence, the same properties that made political life appealing, but it didn't require dealing with the political opposition. 10. Take rest. Don't assume that the world will give it to you. Too often we tell ourselves we'll rest when we've finished everything else. But in today's 24/7 services-driven economy, you're never done: Work follows us home, mobile devices make you always-accessible to bosses and clients, and projects can always be made a little better. The only rest you get is the rest you take from a world that will soak up all your time and attention if you let it. Learn more about why taking breaks is so important in Alex's new book Rest: Why You Get More Done When You Work Less, available now.